The accelerated free fall (AFF) program is a specially designed 8 level program to fast track you to jumping solo. 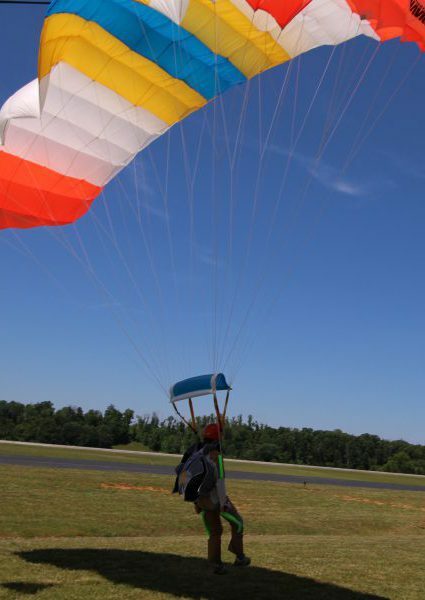 With AFF, you can jump without being attached to an instructor from your very first jump. Two certified AFF Instructors will keep you stable during exit and in free fall, staying with you until your parachute is deployed. The next First Jump Course is scheduled for May 18th at 9:30 a.m.